Torrid Marine Water Heaters are a superior product when it comes to choosing a water heater for your boat. Torrid offers their IX Series water heaters in a variety of shapes including bother vertical and horizontal. 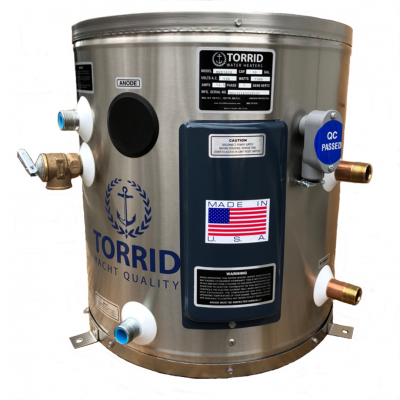 Torrid constructions their water heaters using stainless steel, foam insulation among other materials.